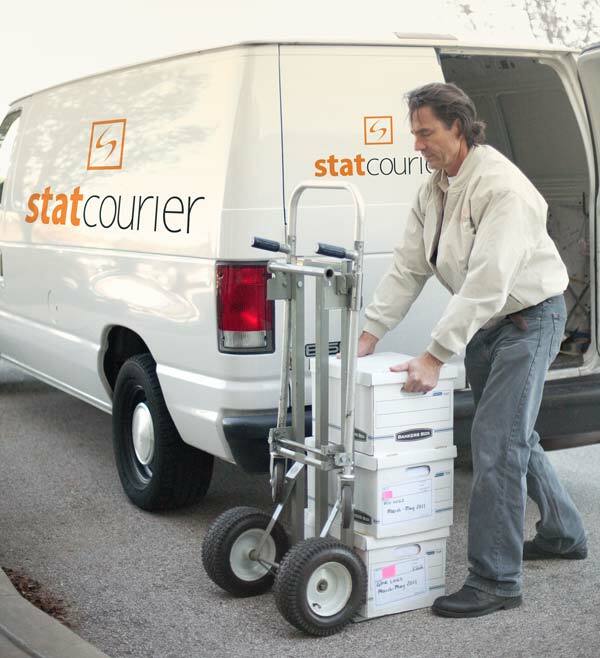 STAT Courier offers all the conveniences of a large national company without sacrificing the personalized customer service, hands-on attention to details, and knowledgeable operational oversight of a small business. STAT Courier is large enough to exceed your service expectations, yet small enough to always give you personalized service. We maintain a consolidated delivery network that reduces costs by providing customized solutions that are flexible and scalable to handle your specific logistics needs. Our current partners have been able to expand their service area while ensuring quality of service and keeping delivery costs low. STAT operates efficiently by optimizing the flow of deliveries, leveraging a network of drivers, and strategically consolidating routes and shipments on a daily basis. Read below about how our resources can provide cost savings without sacrifice, unsurpassed quality, technology that works, and drivers you can trust. STAT Courier’s straight-forward pricing strategy provides cost-efficiencies and savings to each program and organization we serve with no hidden costs. Comprehensive logistical management improves our clients’ efficiency and reduces their delivery costs. Careful route analysis and planning, consolidated deliveries, and consistent on-time performance provide savings to clients while keeping customer service levels high. Our delivery options will save you time and money. Exceptional results and customer satisfaction are maintained across our book of business, demonstrated by our 99+% on-time delivery rate and our 99% customer satisfaction rate. STAT Courier’s experienced leadership and operational teams provide smooth and timely implementations, excellent customer service, friendly and accurate dispatch, careful program oversight, and quick resolution for any issue that may arise. You can be confident STAT Courier will supply the hands-on oversight and knowledge necessary to provide uninterrupted services. STAT Courier makes it easy for you to place requests and track your shipments online. From the time the order is placed, to the actual delivery, and finally through to the invoice, our clients have visibility of shipment updates in real-time. This user-friendly service also provides data such as pick-up time, delivery time, and verifies recipient’s signature upon delivery. You can also review historical data online at any time. Contact us at 888-592-7828 to set up an eTrac account or see a demonstration. All STAT Courier drivers are insured and bonded to handle all of your delivery needs safely and securely. Each driver has passed a criminal background check and is subject to periodic drug testing. STAT Courier drivers are experienced, reliable, and are in compliance with OSHA and HIPAA regulations and are educated in DOT Hazmat procedures. Each driver is uniformed, wears an identification badge, and carries communication equipment at all times.